Speed up the Back to School process at Sign up Day! Sign Up Day is for ALL LJES families, new and returning. This event offers parents a convenient way to complete mandatory paperwork for the 2018-2019 school year. In addition, parents may meet with representatives from our PTO and Friends Foundations or meet with vendors and enroll in optional After School Programs. Please stop by our Welcome Tent and meet Jema Edwards our Welcome Committee Chair. She will be handing out our checklists and answer any questions you have and set up campus tours with our very responsible 5th graders. Sign up day will be held in the LJES auditorium (entrance on Girard St.). New families must register/enroll in the school office prior to attending Sign up Day. The school office will re-open for new family enrollment on August 13th. Any family that is unable to attend Sign up Day, must complete mandatory paperwork in the school office. While we need this paperwork as early in the school year as possible, please do not call or visit the office regarding Sign up Day paperwork prior to August 27th as the office is extremely busy with the start of school on the first two days back. Please complete the forms that are available and drop them in the box on the front counter of the school office. Please read each of the boxes below for actions items you need to complete!!! Click here for a Sign up Day Check List (see attached) to help you keep track of each item. The following 3 items must be completed in person at Sign Up Day or turned in to the school office beginning August 27th. Review, approve, or edit District Enrollment Card(s). You can only do this at Sign up day or in person before school starts. Provide Proof of Residency. You will need to bring an original utility or cable bill. Please make sure to retain a copy for your own records. What is a Disaster Preparedness kit? And why does my child need one? In case of an emergency your child will be comforted with a kit you assemble of necessary and comfort items. Items in the kit and how to complete can be found by clicking and printing the form below. You can pick up the form at Sign up day or print and fill out on your own. Print and fill out the Disaster Preparedness Form. Prepare your child's kit with items on list and place in a gallon size plastic bag. Every child should have a kit in their child's class room. Bring the completed disaster kit to your child's classroom on the first day of school. What does a disaster kit look like? Stop by sign up day to see a sample of items. We have so many wonderful opportunities to help our school. Do you have a 1/2 hour, an hour or just want to work one school event or drive on a field trip? Please get yourself approved. Complete a TB screening or submit proof of a recent TB Test. Need a TB test screening? Come to our TB test clinic on August 21st in the LJES front office (off 1111 Marine St.). Screening takes less than five minutes. The test is FREE for LJES parents (paid for by the PTO). If a physical test is required you must come back August 23rd for a reading by our nurse (avail at Sign up Day). To schedule a screening click link: SignUpGenius for TB testing. Returning families need to complete a new consent form each year. New families need to complete a consent form and add their information. Please note when completing information that the teacher field will be automatically included at a later date. Directories are provided for free by the PTO and will be sent home in September. Your information will NOT be shared with other 3rd party vendors. 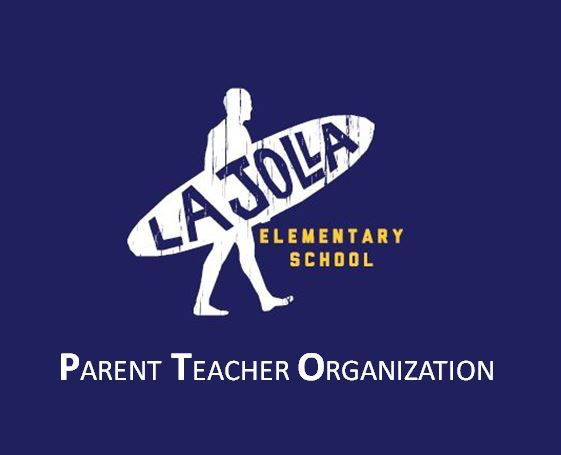 Looking for other ways to stay connected with La Jolla Elementary School? Sign up for informational emails / eblasts here. Support the PTO - its a small ask (only $35 per family) to fund all the school community events and activities throughout the school year! Purchase LJES logo wear. See samples at Sign up day. Orders will be delivered to your child's class in September. Purchase a celebration book for your child's new school year (all funds support our library). Your child can pick a book at sign up day. When school starts we need lots of volunteers to get the school year started. If you are interested in helping out please contact Amanda Zilke (PTO VP of Volunteers) or sign up through our volunteer sign up genius portals here. For our coveted Robotics program, Science or Homework club registration opens AUGUST 19TH @ 8:00AM. Registration is through Active.com. Please use link below to register ahead of time. We will be accepting registrations for Session #1 only. All registrations must be completed online - no manual registrations will be accepted. Space is limited, so mark your calendars! These optional programs are for LJES students in grades 1-5. Need Before and After School Care? See programs offered by the YMCA. The YMCA offers childcare before and after school care. You can find all the instructions you need to register your child here.